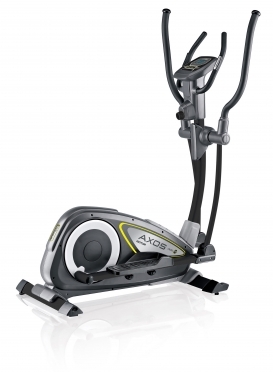 The Kettler crosstrainer Axos Cross M (07647-800). 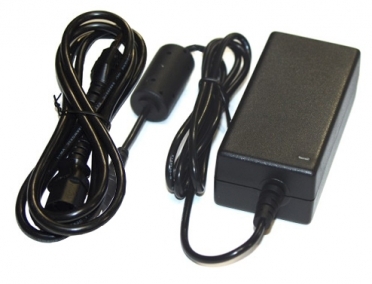 A rpm-dependent magnetic brake system with resistance settings in 8 steps, a 12 kg flywheel. Strength training at home with the Kettler Primus weight station. This bench is ideal for strength training for muscle building. 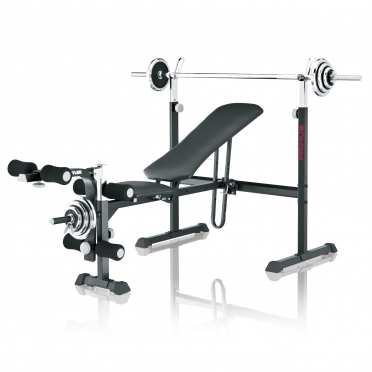 The training bench is equipped with a barbell rack and a leg curl. 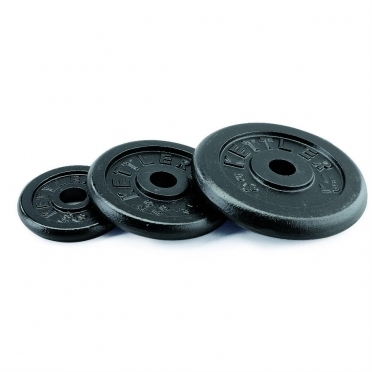 In addition, a separately available curlpult can be attached for biceps workouts. The Kettler Multifunctional weight bench offers the stability that is essential for free weight training like the pros. Free weight training was and still is the most flexible, individual workout for realizing a number of fitness goals; the Kettler Multifunctional Bench lays the foundation for serious strength training like the pros. 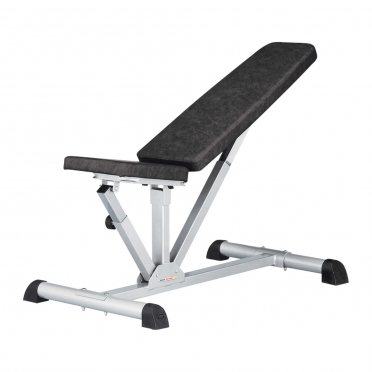 With flexible position settings and comfortable, durable padding, this exercise bench is almost on a par with commercial weight training benches - gym quality for your home! Strength training at home with the new Kettler Vector weight station . The weight station adapts perfectly into the new fitness equipment line of Kettler. 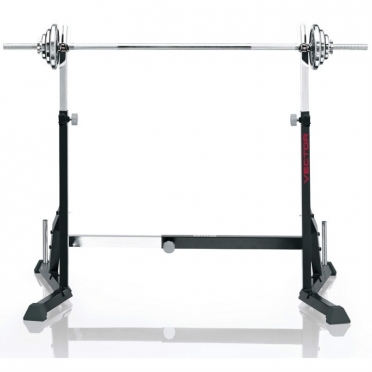 The Kettler Vector barbell rack is of elegant black and offers complete exercise possibilities for strength training at home. 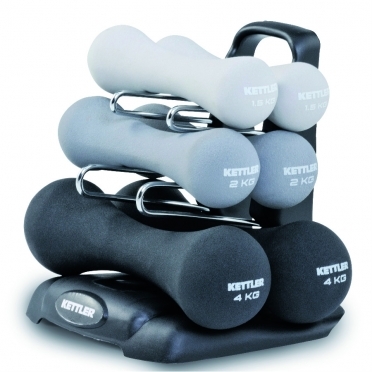 The Kettler Dumbbellset 07371-110 consists of a complete set of functional and sturdy dumbbells. After each workout, each dumbbell has its proper place. 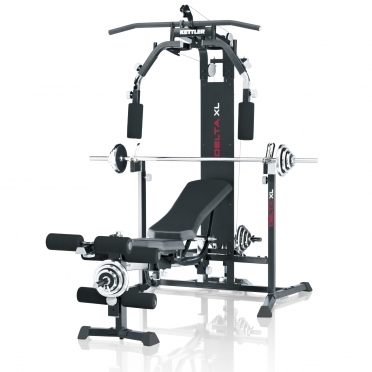 Triceps press, leg curl, butterflies forwards/backwards, and lat pulls are possible (alone) and without any difficult mounting on the Kettler DELTA XL multi-gym. The vertically and horizontally adjustable butterfly station equipped with eccentric trechnique guarantees an optimal course of exercise with constant exertion in complete range of motion. 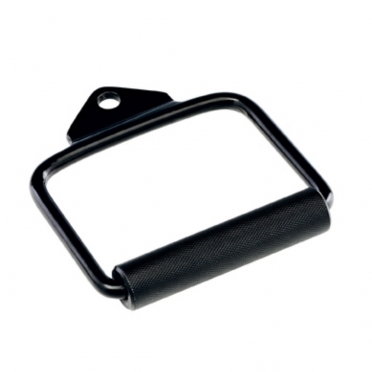 The AB roller is an excellent training aid for your abdominal workouts. 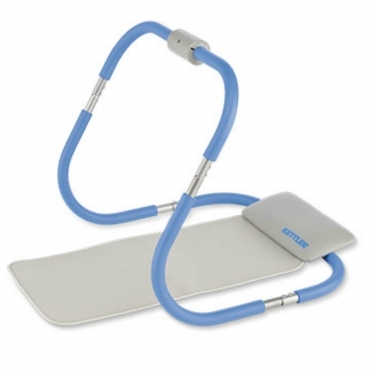 With its integrated headrest, you can give your abs a good workout effectively while relieving your neck. 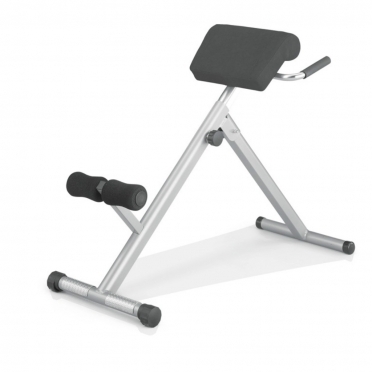 The precise training of back and bottom muscsles with the back trainer Kettler Tergo prevents pain in the back. 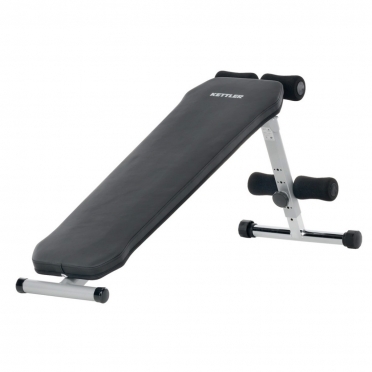 The abdominal trainer Kettler Lineo allows specific torso workout (i.e. abdominal muscles) in a comfortable training position. The individual adjustment possibility of the feet paddings, the large overlay and the height adjustable foot for variable incline position always guarantee a good training position for the abdominal workout with the abdominal trainer Kettler Lineo. The abdominal trainer Kettler Lineo can also be folded in a space-saving way thanks to the innovative folding mechanism.